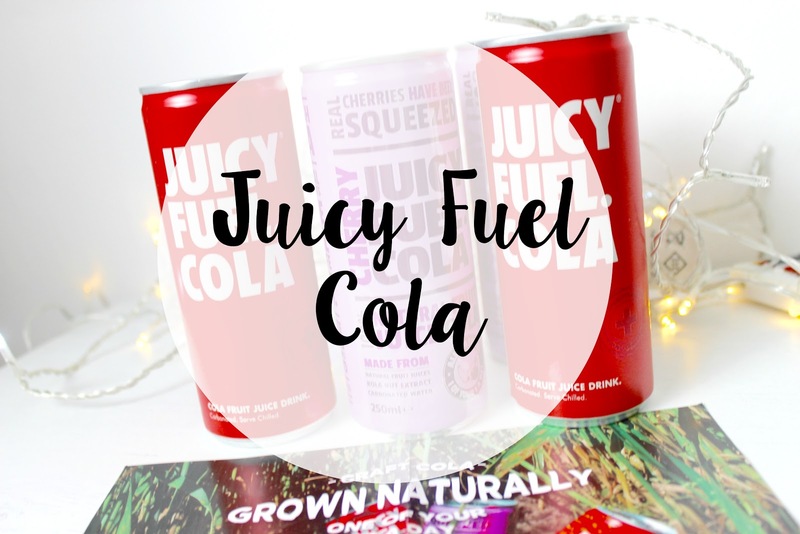 Juicy Fuel Cola is a juice made by The Juice Shed Company which started in 2007. 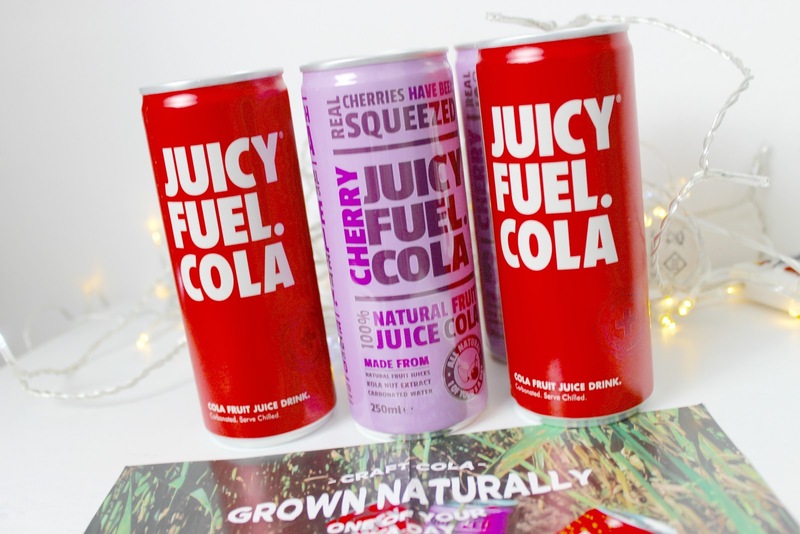 The cola is made using real fruit juice in two flavours normal cola and cherry cola and is 100% craft cola. 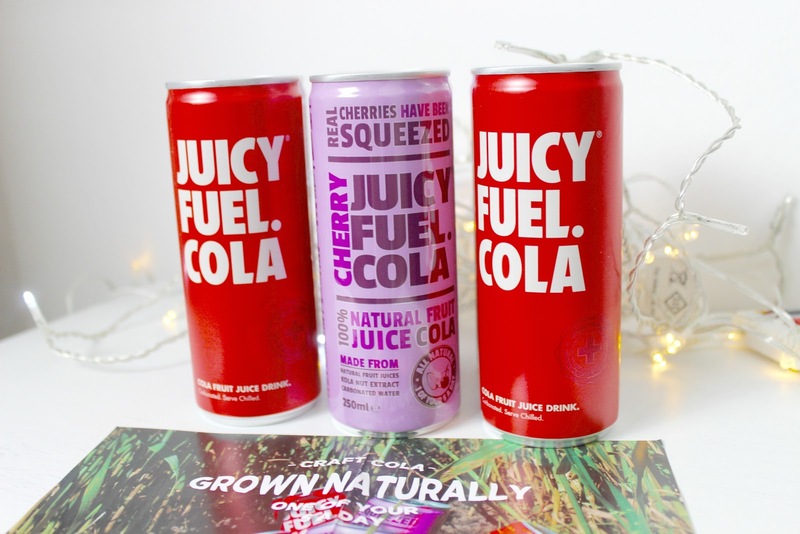 With absolutely no preservatives, no e-numbers, no added sugar and no added sweeteners these are amazing for someone like me who always drinks fizzy drinks. First of all I love the packaging the bright colours make these stand out and I love the tall slim packaging too with each can containing 250ml. This one tastes more like cola than the other one but has a strong taste of grape too, the fruit is very prominent in this flavour. Although the do taste like fruit they are still fizzy like coke but so much more refreshing I could imagine drinking these in the sun and it being perfect! They are available from the following stores: Tesco, Morrisons, Booths, Sainsburys, Waitrose and ASDA. 12 comments on "Juicy Fuel Cola Review"
Am I the only person who doesn't like coke/cola? I actually don't drink any fizzy drinks! You're right about the packaging though; that is really cool! I have just tried these, I love them so much. Definitely prefer the cherry cola one though. I haven't tried these! I don't drink a huge amount of fizzy drinks but I would prefer the normal cola to cherry cola! mmm these sound so nice!! I'm definitely keeping an eye out for them!